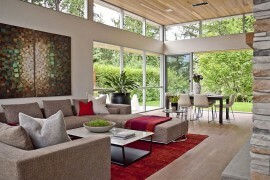 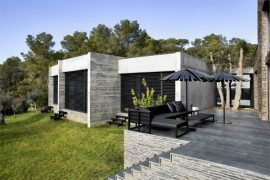 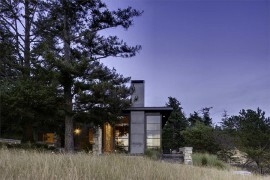 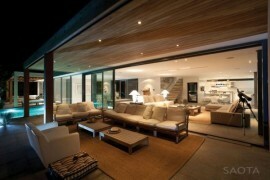 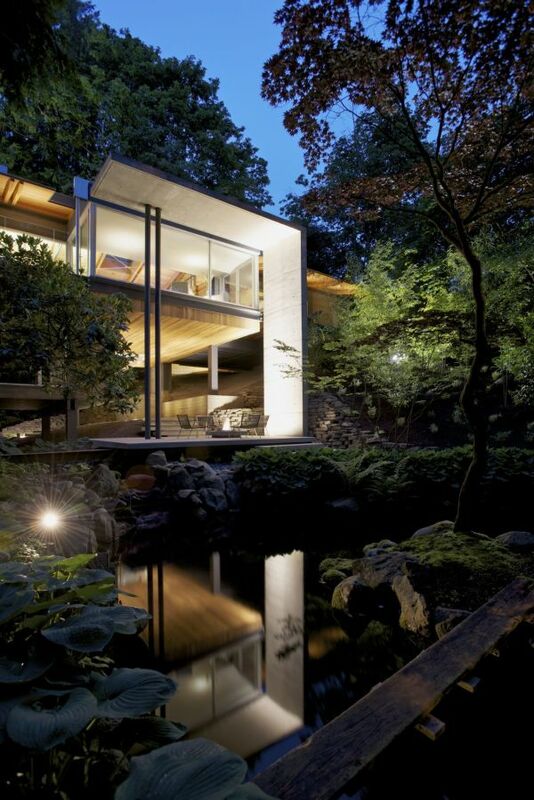 The growing trend in modern design and architecture is to create homes that are one with their surroundings. 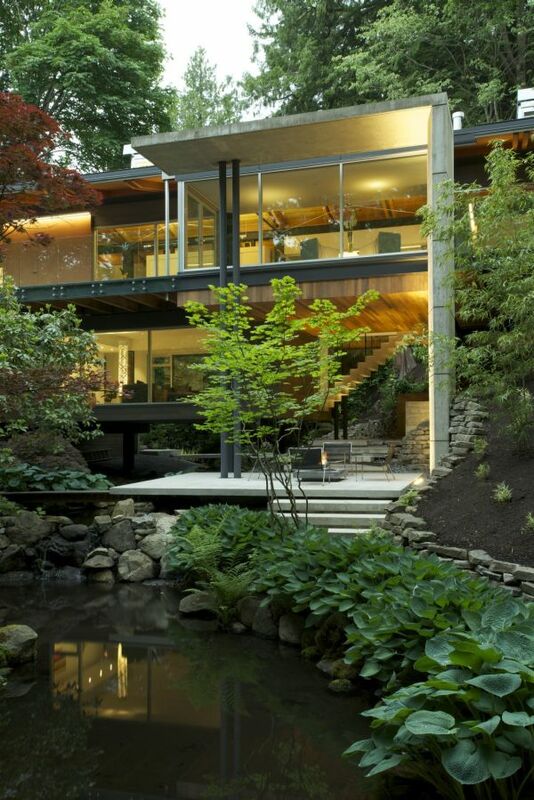 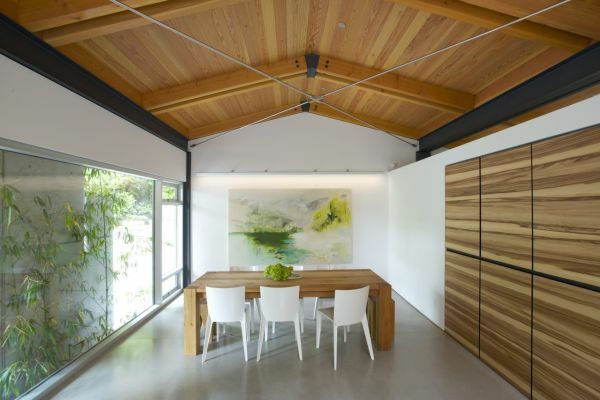 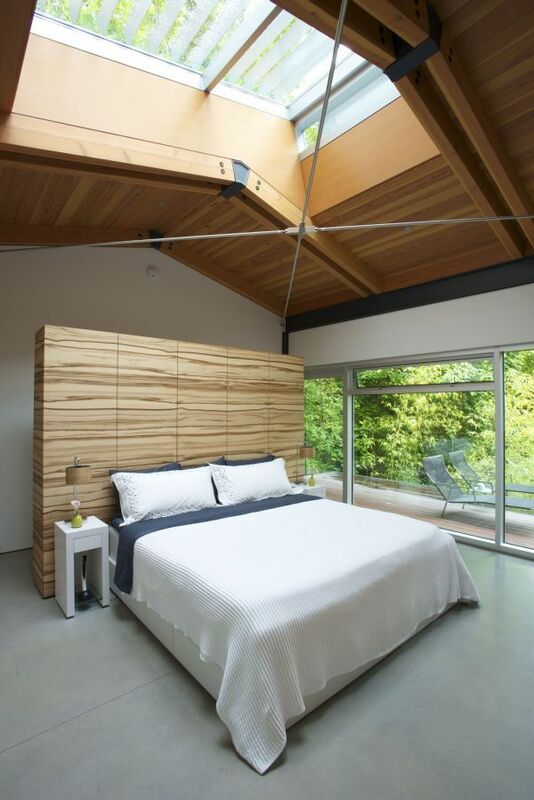 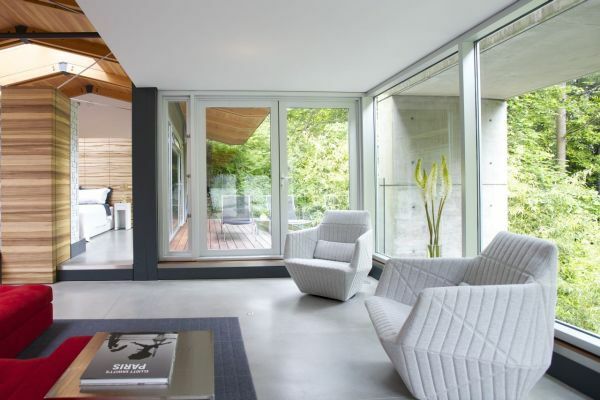 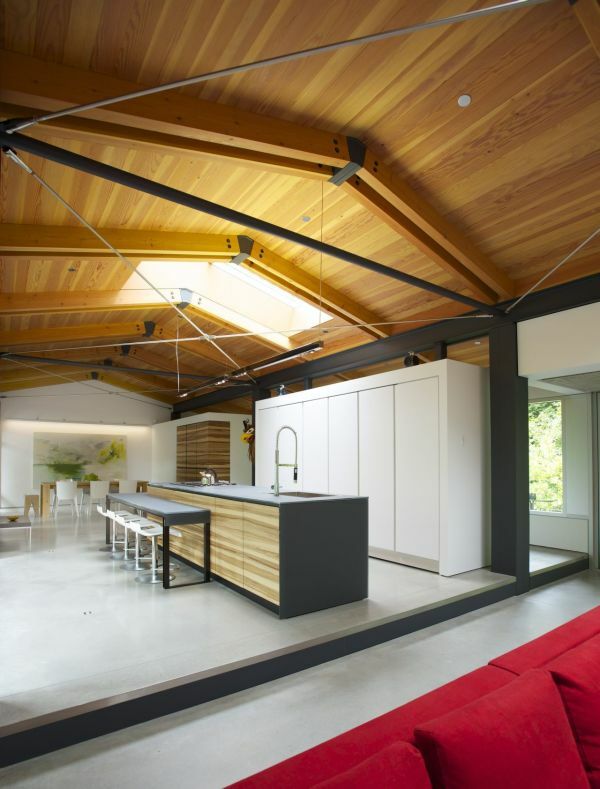 Draped in a hood of green that offers plenty of seclusion, the Southlands Residence in Vancouver is all about the perfect synergy between interiors and the exterior. 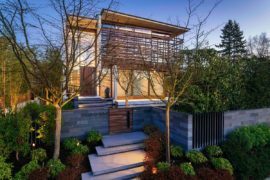 Smartly placed concrete walls, wooden partitions and sliding glass doors combine privacy with unabated views of the many sights and sounds outside. 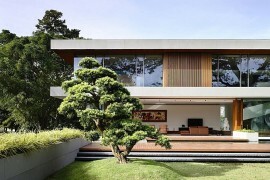 Designed by DIALOG, the residence is set next to a year-round stream and the lush green outdoors become an integral part of the contemporary interiors. 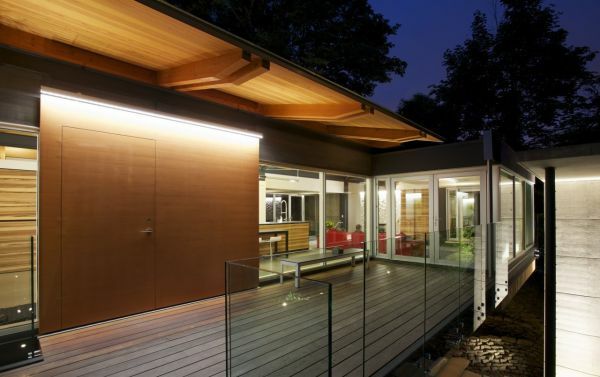 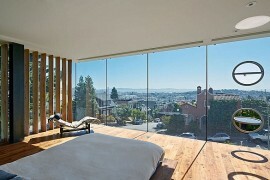 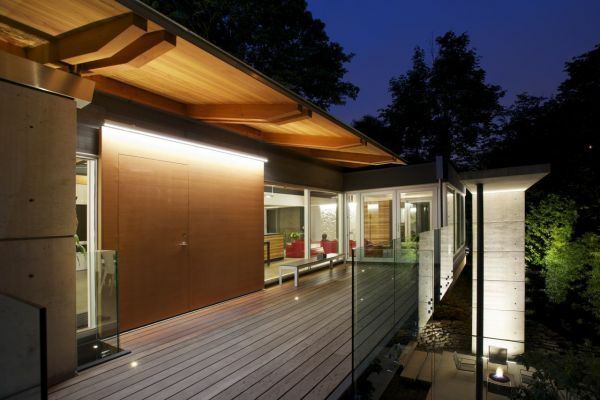 Glass and wood have been used extensively in the design of the new home that replaced an existing structure on the lot. 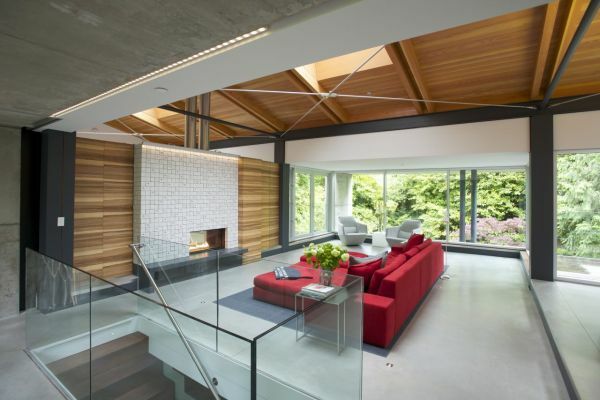 While glass provided seamless connectivity with the topography, warm wooden tones offered both privacy and modern accents. 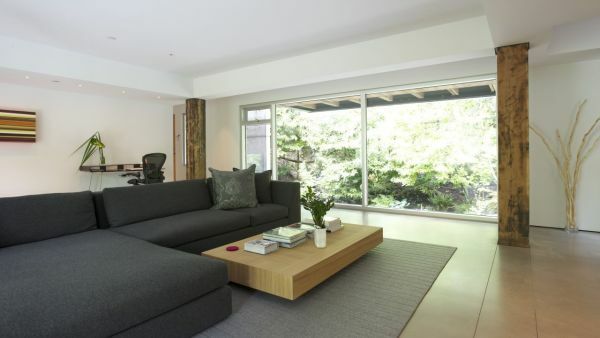 The interiors are kept largely neutral in white and gray with a bright red accent couch in the living space stealing the show. 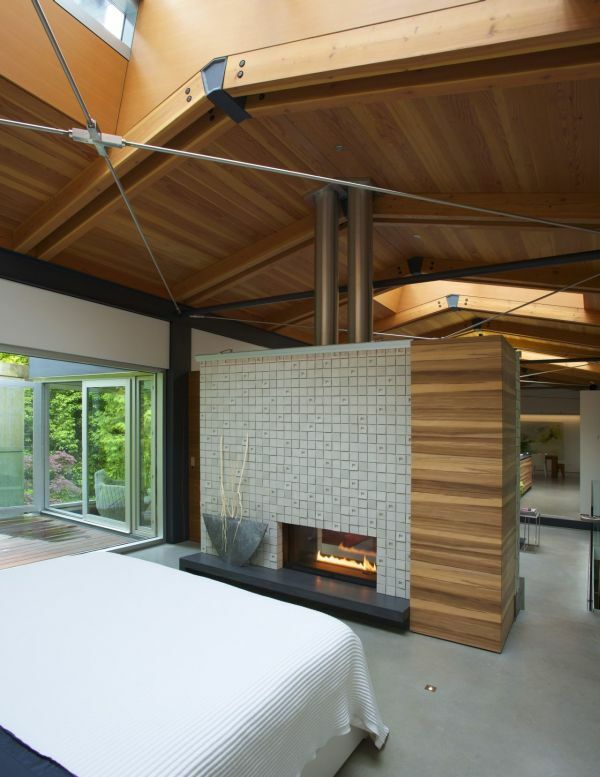 Stylish use of skylights make sure there is appropriate natural light even in the private areas while an expansive deck to the north allows the residents to be at one with the bamboo and Japanese maple backdrop. 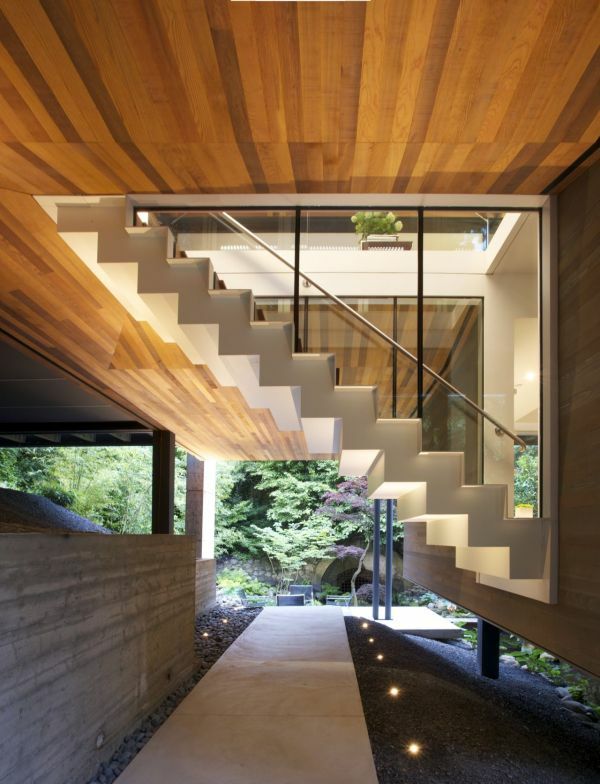 A beautiful wooden staircase connects the lower level with the top floors and a concrete path above the water surface in the backyard makes for a cool walkway. 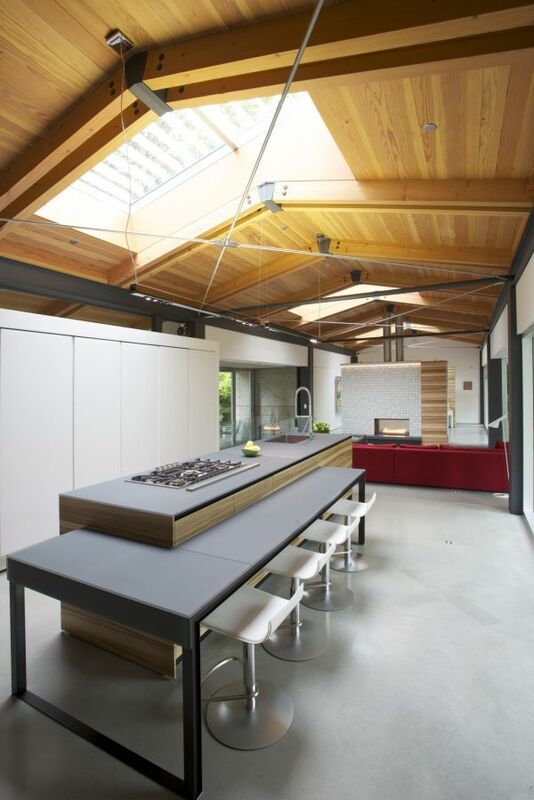 An ergonomic kitchen, plush bedrooms and polished, heated concrete floors offer a luxurious retreat that takes you into a tiny natural haven. 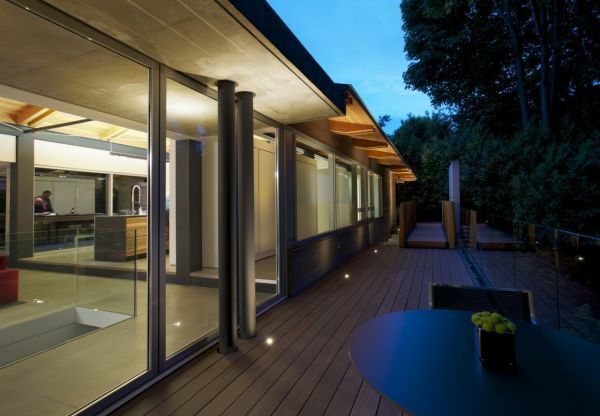 Away from the big city lights and the concrete blocks, the Southlands Residence is a truly gorgeous and relaxing getaway.